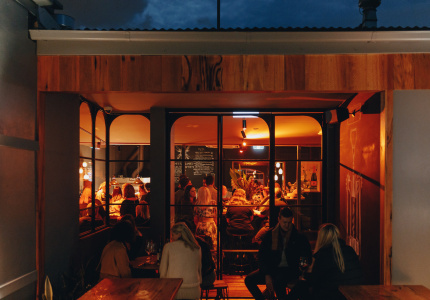 With a whole new spectrum of delivery options at our fingertips, we take a look at what it takes to fit a restaurant’s character, flavour and reputation into a takeaway container. 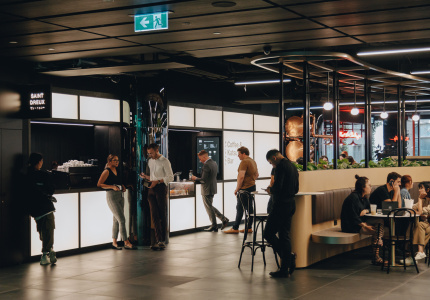 Gone are the days when food delivery equated to the measly options of a squished pizza box or an armful of grease-soaked takeaway bags. 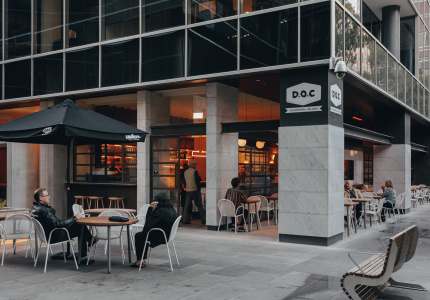 As Melbourne’s dining scene continues to transform, delivery has evolved with it, becoming a well tuned, even sophisticated practice that allows customers to skip the queues without skimping on food quality. 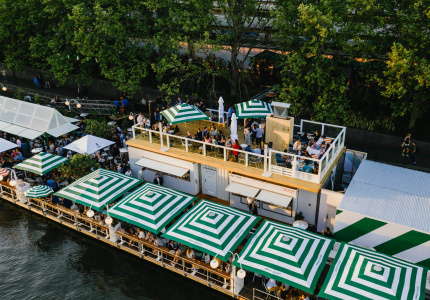 Considering the challenges of speed, freshness and translating an in-house experience to a mobile one, we sat down with three restaurants to talk through the finer points of travelling food. Even if you haven’t been to Misschu, chances are you’ve seen the bikes. 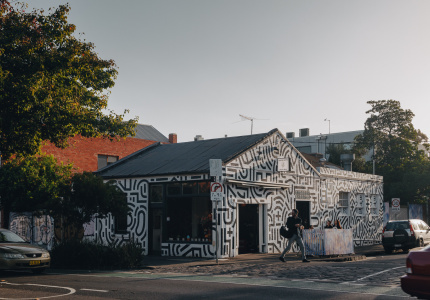 With the slogan ‘You ling, we bling’ stamped across the speedy Vietnamese-style motorbikes and customised delivery bags, the Misschu drivers double as travelling advertisements for the brand and are a regular sight throughout the CBD and South Yarra. 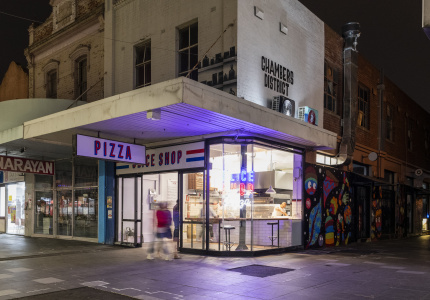 Commencing the Misschu delivery service in 2009 at the CBD tuckshop, owner Nahji Chu was convinced from the start it would be popular, particularly with the busy office worker. “In my mind, even back then, I thought this has to work. No one wants to come out for their 10-minute break, or even half-an-hour break. If you have longer than that, you would want to go sit down in a nicer environment with table service,” she says. 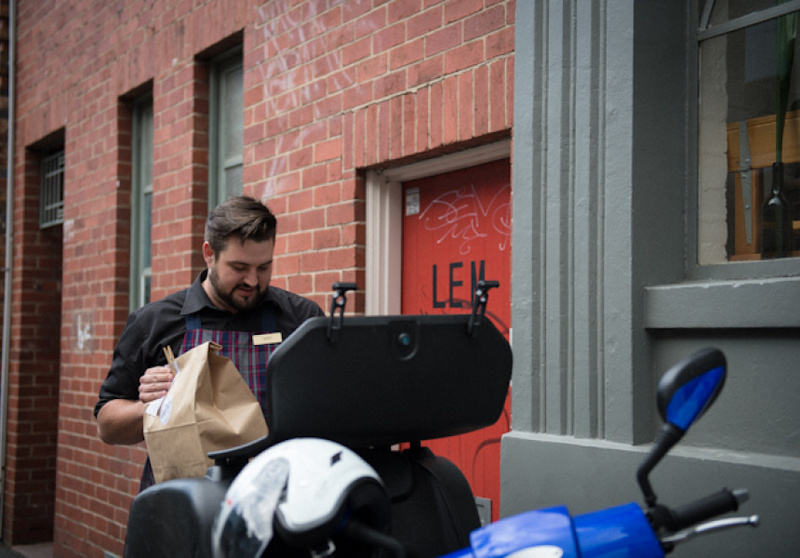 Delivering an average of 35 meals a day from the Exhibition Street eatery, some of which include $300 orders, the kitchen and drivers are in a constant flurry to ensure hungry lunchtime employees are served up hot, restaurant-quality food. With plans to launch a cheese and wine delivery service with her beloved dog George as the face of the brand, it looks like delivery will continue to play a big role in Chu’s various business concepts. 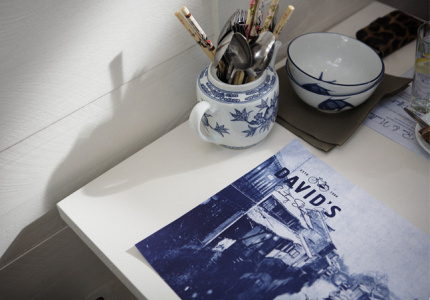 Popular Shanghai and yum cha restaurant David’s in Prahran has also recently started a delivery service. Catering to homes and offices in the Stonnington area, delivery goes further than just a quick drop off and wave. 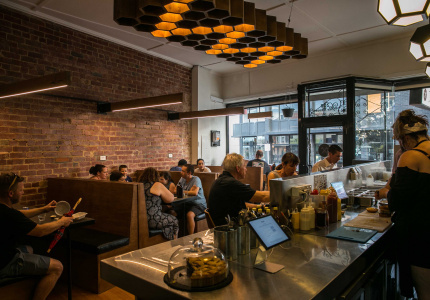 Owner David Zhou is determined to make the delivery encounter resonate with the service offered in house. “The people need to experience the food, it’s an extension of our brand, so the delivery people are polite, pleasant and good looking as well,” Zhou jokes. 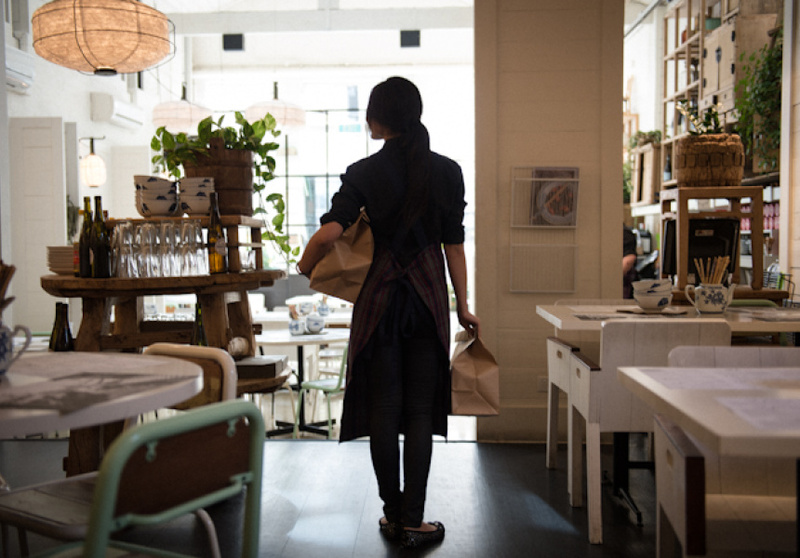 Using a versatile mix of transportation, which includes walking, a retro bike and a swanky black BMW, Zhou maintains that part of the fun in delivery is simply getting the food from the clatter of the kitchen to the front door. 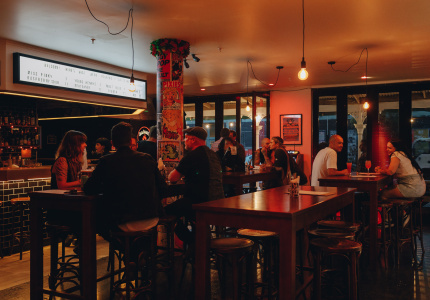 Offering some variety to the delivery scene, contemporary Mexican restaurant Bluecorn has been knocking on doors within the St Kilda area for 14 years. 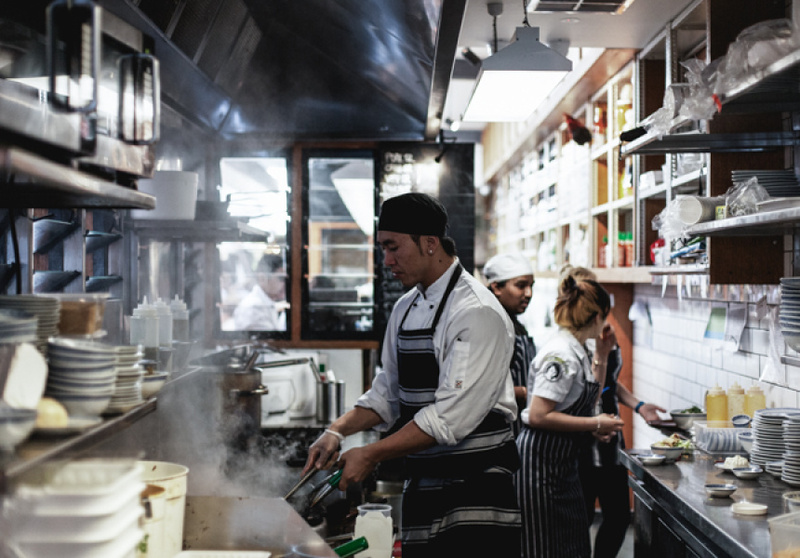 Owner and head chef Justin Pola assures us that maintaining restaurant quality flavour in the delivery menu is paramount to its success. He worked on the takeaway menu for three years until he was happy. “It’s very hard to do Mexican takeaway, let me tell you,” he explains. “Because it’s all fresh it doesn’t travel well. 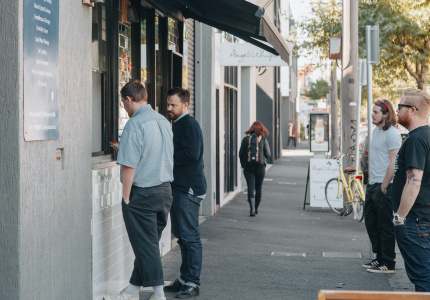 You have to go bang, bang, bang.” Delivering via car within a three-kilometre radius of the restaurant means only the lucky locals are able to enjoy the convenience. 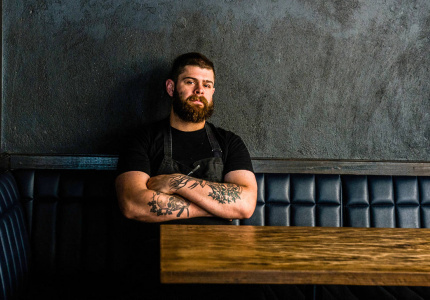 “I won’t go further and believe me I have people from all over Melbourne calling up and asking for delivery, but if we go too far and it takes too long, the food won’t be as fresh and delicious as it should be,” Pola says. Sure, we’ve long had the option of a soggy pizza. But with consumers expecting more from their food than ever before, delivery options are no exception. After a long day, or chained to the desk, getting that perfect meal on the table isn’t always a possibility. And why shouldn’t we be able to enjoy restaurant quality food on the couch in our trackies once in a while?